Emotional self-awareness is at the root of emotional intelligence, and it is a skill. I am increasingly realising, as I work with managers and individual team members, that emotional self-awareness is a skill in which people have varying levels of proficiency. Why is emotional self-awareness so important? As Goleman explains, if our self-awareness is strong, it makes us better equipped for the three other core components of emotional intelligence: self-management, social awareness, and relationship management. As with so many aspects of emotional intelligence, being self-aware helps us to get better results out of the situations that we find ourselves in. Because we experience emotions both physically and intellectually, being more in touch with our emotions will have beneficial effects on our mental health, our physical health, and our intellect. And we will interact more effectively with others. How can we improve our emotional self-awareness? Daniel Goleman and his co-authors have three or four suggestions for us. Interoception. The first way to improve our emotional self-awareness (according to Richard Davidson) is to tune in to what is happening in our bodies: our internal signals. The technical term for this is “interoception”. Basically, our heart rate, our muscle tension and our breathing are all affected by our emotions – and our awareness of this is controlled by the part of the brain called the insula. Apparently, MRI scans can pick up increased activity in the insula when we are actively interrogating how our body feels. So, we can learn to pay more attention to what is going on in our bodies. Reflection. We can also increase our emotional self-awareness by taking the time to think about how we are feeling. How this is connected to whatever might be going on. How we’ve reacted to a particular situation. And how we could behave differently. Keeping a daily journal is one way to do do this. 360 degree feedback. This is a popular tool for management and leadership development. We can use it to get feedback on how others perceive us: our strengths and our opportunities for development. And we can compare that feedback to our self-perception, and discover gaps or mis-matches between the two. On-going feedback. We can also ask supportive colleagues to alert us to situations where it might be helpful for us to be more aware of how we and others are feeling, and where our behaviour may be more or less helpful to others. George Kohlrieser suggests that we have colleagues help us, or that we have a mentor or a coach to support us in this way. Team self-assessment. Vanessa Druskat writes a chapter in each of the series’ booklets about the topic’s relevance to teams. Here she reminds us that teams can also demonstrate emotional self-awareness by taking the time to actively monitor how they are doing, from an emotional and relationship perspective. Vanessa Druskat also suggests that it takes a courageous team leader to do this: to not worry about what the findings might indicate about their effect on the team, or about bringing any conflicts into the open. Checking-in as a regular practice. Daniel Goleman tells an effective anecdote in the booklet’s conclusion about a nurse who takes a moment, before visiting each of her patients, to tune into her feelings, and to remind herself to give her full attention to the next patient. We could do the same before we initiate any conversation at work with direct reports, colleagues, managers, customers or suppliers! I attended the first run through of RiverRhee’s The First Steps in Selling course this week, run by my Associate, John Hicks. It was fun to be a delegate for a change! Although the course was geared towards the small Life Science or Biotech companies that we work with, the key messages apply to any business that is selling its products or services. A lot is down to creating a sense of partnership with your potential or existing customer, and to the mindset with which you approach the discussion. You can only begin to have a discussion with an existing or potential customer if they have expressed an interest in having the conversation. So all the work involved in market research and other marketing activities will have already taken place. The good news is that you will not be going into the discussion cold – however, there is still a lot to do before you can actually complete the sale! The customer has expressed interest in having the discussion with you because they perceive that you might, in some way, be able to help them. So the discussion should be around exploring the challenge or opportunity that led them to get in touch, and working with them to find a solution. The spirit of partnership comes from that collaboration to help them with this. This will help you to truly understand your customer and effectively explore how you might be able to help them. Empathy and rapport will help you to have an open conversation that gets to the root of their challenge or the opportunity they would like to explore. It is likely that there are emotional as well as intellectual factors involved in this. Understanding these will help to make the eventual solution more effective too. There are lots of great open questions that can help you with this. Your customer will be in the best position to make an effective decision about the solution that they want to adopt, if they have the necessary knowledge to do so. You may find that you are the best placed to help them with that knowledge, whether the eventual solution is to go with your product or service or not! Which brings us to the next key message. It may well be that your product or service is not the best solution for your (potential) customer’s challenge or opportunity. They will value your integrity if you are honest about this. Even if they don’t buy from you this time, you will have earned their trust for potential future sales opportunities. And of course, if they do buy from you, you will also have set the scene for future positive discussions. Engage with your stakeholders more effectively – stop talking about communication! Editorial note: I came across Fran in my work for the APM Enabling Change SIG. She has developed an ‘ABCDE’ model for communication, which she offered to coach me on in support of a publication that we are preparing. Communication plays a big part in the ability of managers and teams to influence others. Information can be misunderstood or interpreted in different ways depending on an individual’s expectations, assumptions, bias, prior experience or what’s going on around them. Making assumptions or not asking what people understand can result in confusion and mistakes. Too much, too little or complex information can create a barrier to productivity: people become disinterested in working with you leading to delays, duplication of effort or poor quality. A report can go unread, or a business case be rejected simply due to the way information is presented. The subsequent rework, delay and loss of confidence add cost and risk to the project. ‘SOS’ – sending out stuff: We’ve become accustomed to thinking of ‘communication’ in terms of output not outcome. Communication is defined as a two-way process of reaching a mutual understanding, yet discussions about communication frequently centre on what’s going to be produced: a website, a brochure, an email, a newsletter. People leap straight into writing content before considering who it is they need to reach and why. Complexity: Communication is actually quite complicated. There are a lot of factors that need to be taken into account even for something as seemingly simple as getting a yes/no answer from the client. Without enough information about who you’re trying to engage with, it can be easy to overlook key issues that may help or hinder. Difficulty: Communication also involves a number of different skills. An individual’s ability or confidence can affect whether they perceive ‘communication’ as an opportunity or a problem. The challenge of using social media, creating a video or emailing a senior executive can be a barrier if they feel they don’t have the skills, lack the time to work it out, or don’t want the risk of making a faux pas. If it’s not a priority for them, communication will just not happen. Focus on attitudes and behaviours rather than communication. So, if you want to improve the effectiveness of your team, my recommendation is that you stop talking about ‘communication’! It puts people in the wrong frame of mind and introduces all sorts of problems. Be confident about this: the raison d’être of your team is not to do communication. Focus instead on what attitudes and behaviours you need people to have and exhibit in order for your team to be successful. Measure outcome not output: Output is a measure of the team’s activity, what ‘stuff’ has been sent out. Outcome considers how effective the activity has been, whether the intended objective has been achieved. Choose criteria that help you understand how your activity has performed. For example, instead of a tick-box that checks whether a brochure has been received, evaluate how well the information provided has been understood, the level of confidence about using a new process, or motivation to change behaviour. Create solutions not challenges: Make it easy for the right messages to reach the right people at the right time. For example, provide team members with ready-to-use messages and guidelines for different platforms; format data to integrate automatically with another team’s process so that cascaded information is accurate and consistent; facilitate client feedback by being visible, accessible and flexible. Be audience-led not technology-driven: Instead of simply doing what’s convenient (eg. sending an email) or what everyone else does (eg. social media), take time to consider who it is that you need to reach and the most effective way to impact their behaviour or attitude. For example, seeing the finished product can influence confidence and commitment much more effectively than receiving a picture via email. Fran Bodley-Scott is passionate about helping individuals and teams use communications effectively to achieve business goals. As a Chartered Engineer and Chartered Marketer Fran’s approach is both customer-focused and systematic, applying core marketing principles and the ABCDE communications process in order to drive business performance. Her company, Marketing In Control Ltd, provides training and coaching in communications effectiveness and stakeholder engagement, as well as consultancy and marketing services. If you are interested in talking with Fran about your project, email scottf@marketingincontrol.com. Getting it right rather than ‘firefighting’…unless that’s your job! Some years ago when I was first learning about Lean and Six Sigma, a colleague shared an article he’d found comparing farmers and firefighters. People in organisations are often singled out when they have worked all hours to deal with a crisis, and yet the people who have worked more quietly to anticipate those problems and put preventative measures in place (the farmers) can often go un-noticed. Lean Six Sigma and Project Management techniques advocate just that quiet and steady farming approach (the FMEA technique described in an earlier blog is one way to do this). Lean Six Sigma also advocates stopping and addressing problems as soon as possible after they do arise so as to prevent the same thing happening again. What can we learn from the competitors in the Olympics at London 2012? It’s impossible to write blogs at this time without referring to the Olympics and London 2012, which has kept many of us supporting Team GB glued to our television screens! The competitors have been training for 4 years or more for the Olympics. ‘Firefighting’ is hardly an option when you’re up against the clock in your event, and you just have to get it right on the day. How did the medalists and the other competitors who achieved their personal bests manage to do so? “Hard work and grafting” was the approach described by Mo Farah after his exciting finish in the 5,000 metres: the culmination of his strategic planning and execution of the race itself. Contrast this with Brazil’s men’s football team’s desperate attempt to equalize Mexico’s 2-point lead in their final match. In the words of the BBC commentator: they “started sloppy and underestimated Mexico”. They managed to score a goal in the 90th minute but missed scoring a second with a simple header because “it was too much” for the player involved. Their ‘firefighting’ was just too tall an order. The quality of the Olympic competitors’ coaches and their ability to pass on their knowledge, experience and expertise will have been a big factor in these games. It was intriguing to watch the dynamics between the pole-vaulter Holly Bleasdale and her coach as she tried to cope with a persistent breeze. She did seem to be in ‘firefighting’ mode and sadly things did not work out for her on this occasion. Coming back to the world of project management, Tony McGoldrick Opinion Piece in July’s issue of Project writes about how we can all be ‘heroes’ by doing the basics well. He also queried the all too frequent emphasis on ‘firefighters’. For him, getting the basics right involves understanding and delivering what your stakeholders want, and getting the quality, timing and budget right. Incidentally, the July issue of Project also carried an article by Andrew Hubbard on BT’s goal of ‘flawless delivery’ and getting it ‘right first time’ for the Olympic games! Amongst all the marvelous reflections and pronouncements about the Olympics, I found the following in this Sunday Observer’s ‘The farewell’ report by Tim Adams: “What these Olympics have been about, though, is not the necessity of being the best, but the pleasures of finding out the best you can be”. Whether through “hard work and grafting”, anticipating and planning for risks, never underestimating the competition, being clear on how we can deliver value to our shareholders, and being committed to doing so, we can all not only become better farmers and heroes rather than ‘firefighters’ in our everyday lives, but enjoy the process of becoming so. Why is employee engagement such an important topic? My blog on employee engagement (Employee engagement – some interesting data and perspectives for Lean and Six Sigma practitioners) is, of all the blogs that I have written since 2009), the one that has attracted the most attention. I wrote it in response to an article I read in the business section of the Sunday Observer1 – a very informative study that the Observer had commissioned, rich in case studies and data from FTSE 100 companies. So why has this blog attracted so much attention? The Observer article caught my attention because employee engagement, or involvement is intrinsic to business process improvement through such techniques as Lean and Six Sigma. If people are not engaged, they won’t be committed to the organisation’s goals, won’t be able to communicate those goals as part of building strong customer relations, and won’t be looking for ways to achieve those goals through efficient internal processes. People also need to be engaged in order to achieve effective business change. Participants in my Change Management courses sometimes find it a revelation to hear that resistance from those experiencing change is a good thing, something to be welcomed. Resistance is an indication that people are actually beginning to engage with a change: that they are considering what the impact will be on them, rather than oblivious to or ignoring it. And without engagement, people will find it impossible to identify and share the learning and insights, which are essential to healthy and thriving teams and organisations if they are to learn from their mistakes and build on their successes. 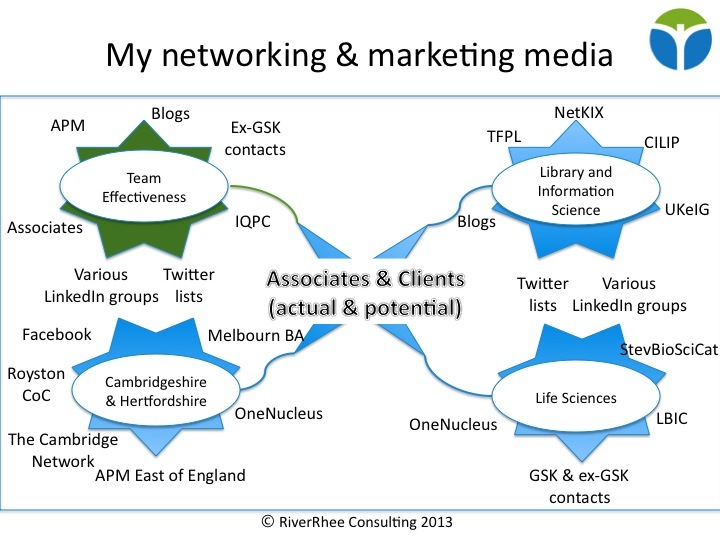 As I wrote in the December 2011 version of my RiverRhee Newsletter, “The answer comes from within… with the help of others”, it’s only possible to have an effective team or organisation if people are engaged. Employees have the key! One of the big themes in my life as a corporate employee was ‘empowerment’: encouraging employees to appreciate and act upon the idea that they had ‘the power’ to make decisions and carry them out without necessarily referring to their managers. As someone who is now self-employed and runs my own business, the idea of acting otherwise makes no sense at all! I work in teams in an associate relationship, and we collaborate in our decision-making and actions. I meet a lot of entrepreneurs, and have often wondered what it would be like if people took an ‘intrapreneurial’ approach to working within organisations. In a 2010 newsletter (‘Finding our voice’ – a route to greater employee engagement and empowerment? ), I suggested that what might help people to do this is to take a more active perspective of their careers – so that they view their current job as one that they have chosen, and are in control of, rather than something that they are being subjected to (to put it a bit bluntly!). What if there weren’t any managers?! I really enjoyed reading the case study of Morning Star in the December 2011 edition of Harvard Business Review.2 Gary Hamel describes a leading food processor, with revenues of over $700 million and 400 full-time employees, which functions entirely around the principles of self-management. At Morning Star, no-one has a manager, each employee negotiates responsibilities with their peers and is responsible for finding the tools that they need for their work, everyone can spend the company money, there are no job titles or promotions, and compensation is decided between peers. The only ‘boss’ is the overall mission of the company. This model works at Morning Star because it combines an individuals’ responsibility (and freedom) for managing their work within the context of the overall mission, and collaboration between peers to define and review individual roles and expected performance. These are wonderful illustrations of process improvement / Lean and Six Sigma (1,2,4,5), Change Management (3), and Knowledge Management (2, 4) in practice. I love my work, and welcome Monday mornings as the start of another week of new discoveries, opportunities to work with others and practice and develop my skills. I meet many others running their own business that feel the same. It sounds like the employees at Morning Star may also feel like this. The authors suggest that these 4 mechanisms will foster vitality (or energy in individuals and in those with whom they interact), and learning (or growth from new knowledge and skills). It seems that, unless people are running their own business or are self-managing themselves in an organisation such as Morning Star, employers need to study and support the mechanisms that will enable employee engagement and so help individuals and the organisation to thrive. We’re obviously not there yet. Why are you interested in employee engagement? It would be great to read your comments. Elisabeth Goodmanis the Owner and Principal Consultant at RiverRhee Consulting, a consultancy that helps business teams to enhance their effectiveness for greater productivity and improved team morale. Elisabeth has 25+ years’ experience in the Pharmaceutical Industry where she has held line management and internal training and consultancy roles supporting Information Management and other business teams on a global basis. Elisabeth is accredited in Change Management, in MBTI (Myers Briggs Type Indicator) and in Lean Sigma and is a member of CILIP (Chartered Institute for Library and Information Professionals), and APM (Association for Project Management). 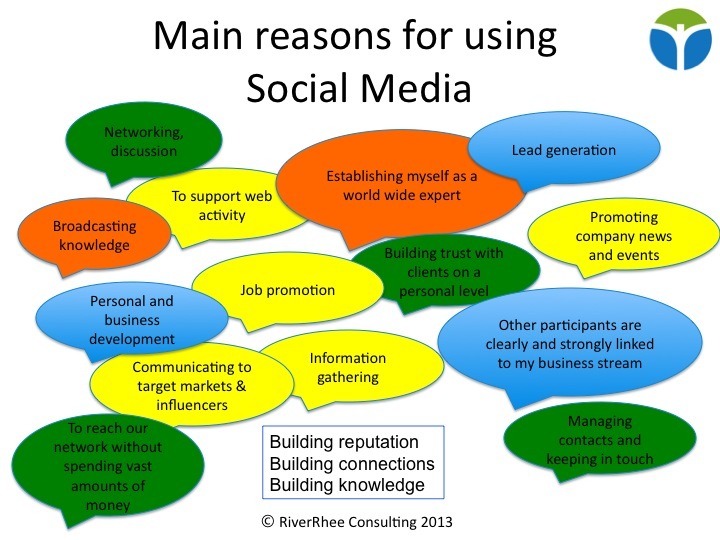 Adapted from the original NetIKX blog: Social Media – what next and what can we do with it? This was the 3rd of NetIKX‘s seminars on the theme of social media, a topic which sits in the group’s 2010-2012 programme framework for Information and Knowledge Management under “Harnessing the web for information and knowledge exchange”. Previous NetIKX seminars on this theme have explored whether social media should be taken seriously, and how social media could be used to achieve organisational goals and the implications for organisational IM / KM policies and strategies. This seminar took a broad look at emerging trends and products, their likely implications, and how social media are being, or could be used. The two speakers were Steve Dale, “a passionate community and collaboration ecologist, creating off-line and on-line environments that foster conversations and engagement” and Geoffrey Mccaleb who describes himself as a social media / mobile consultant. 1. 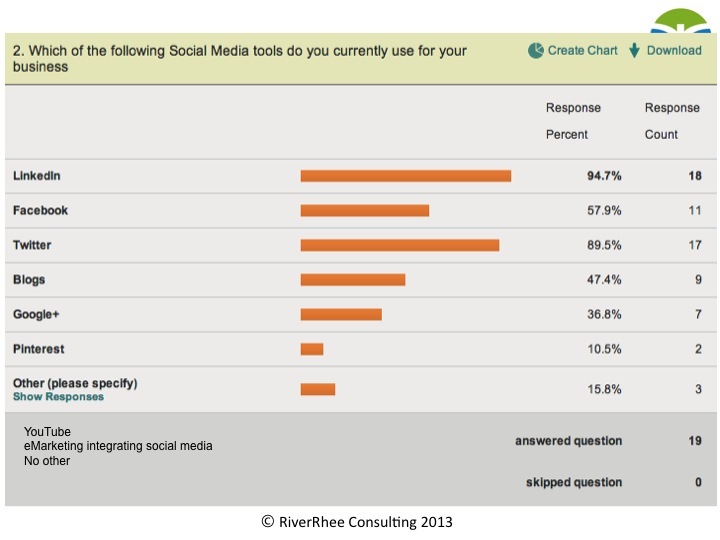 Social media have been evolving into so much more than plain communication tools. Most readers will already know that tools such as LinkedIn are now key reference points for recruitment, but Twitter is also a growing reference source for this. The political and journalistic uses of Twitter are also well publicised. And most people will be aware of the increasing importance of social media for managing an organisation’s reputation: monitoring and responding to comments made by customers or would-be customers, engaging with customers, and generally generating related publicity. Facebook lends itself well to sharing information on interests and hobbies. In fact I’m having great fun at the moment with a ‘cooking enthusiasts” group that I’ve set up with my friends, and their friends. There are other tools, such as ‘Pinterest’ that take sharing of this kind of information to another level. Scoop.it, paper.li, Storify, Flipboard are all examples of how ‘social curators’ can bring together content from several different sources that may be of interest to their audiences. Although we did not discuss this at length, this might be a tool that Library and Information professionals could use to help their end-users with information overload? Some tools enable people to manage the sharing of physical resources (referred to by Steve Dale as ‘collaborative consumption‘). Examples of this are ‘Boris’s’ bikes (the London shared bicycle scheme) and ‘airbnb’ to rent out ones house / bedrooms to visitors e.g. to the Olympics. Might this be an alternative model for managing information resources between organisations?! Managing big data is a pet subject of Steve Dale’s, with data sets such as medical and traffic data on the cloud becoming so large that they can no longer be managed with standard database management tools. Visualisation and infographics tools are one way to make sense of them all. Game-ification is an interesting exploration of how the ‘game’ attributes of user engagement, loyalty to brands, and rewards might be transferred to a professional social network environment. In a previous seminar we heard how The Open University Library Services were already experimenting with using virtual reality tools as a support for their services. Game-ification may take this further? Augmented reality applications for golf let you know where the nearest bunker is and the direction of the wind. Pointing your phone at the sky can give you information about the constellations. Augmented reality applications help you to look at your world in a different way. Location-based tools such as Foursquare enable you to find out what’s near you, check-in, see who else is there, become ‘mayor’ of your local pub(!) etc. ‘Easypark’ enables you to pay your parking fee and have a count-down to let you know how much time you have left to park. There is potential for these tools to be so much more than a status update, because they tell others that you like something / somewhere. Technology cycles are usually 10 years long, and we are now 2 years into mobile technology and ‘apps’. The anticipation is that mobile technology will overtake desktop technology within 5 years. All the people that we interact with online represents our ‘social graph‘: who we know and who we respect online. Our online contacts can have a tremendous influence on what we choose to buy – as I discovered when I found myself, somewhat to my surprise, purchasing something on Amazon that others had recommended without even ‘looking inside’ first. The changing role of the information intermediary. Are we being pushed out of our roles by these tools – or does our ‘cyberlibrarian’ or ‘curator’ role become even more important? The associated information risk. With a lot of personal information going on the internet / in the cloud, is there more scope for criminal activity and identify theft? How to decide what tools to use and when? The key is being clear about who we are trying to target and what tool(s) they would use. Phil Bradley’s presentation and notes: “25 barriers to using web 2.0 technologies and how to overcome them” might provide some good insights on internal organisational barriers and how to address them. 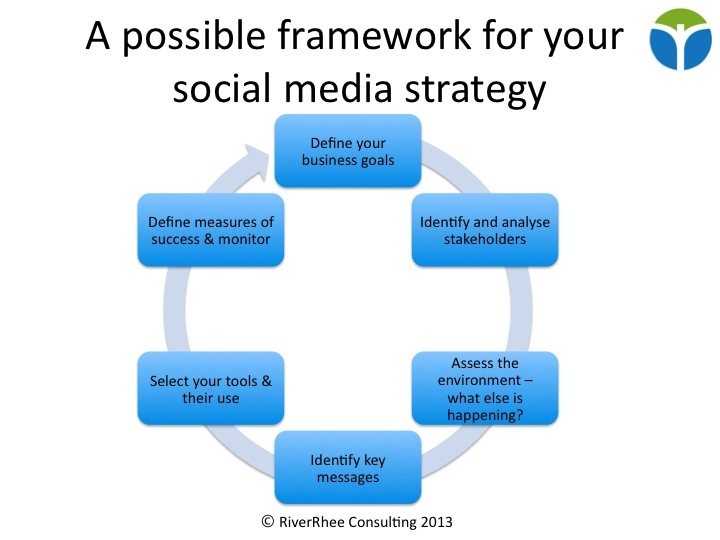 Using social media tools within organisations. Chatter, Yammer are Twitter like tools being used within organisations, and in some cases have a dramatic effect on lowering the use of e-mail. Such tools could be excellent for idea generation and problem solving, or ‘crowd-sourcing’ within an organisation. 1. Elisabeth Goodman is Programme Events Manager for NetIKX. She also runs her own business, RiverRhee Consulting.